Splendour eye: Rich beggar ! old woman with huge money ! Rich Beggar !! It sounds funny, weird and meaningless but it is true ! 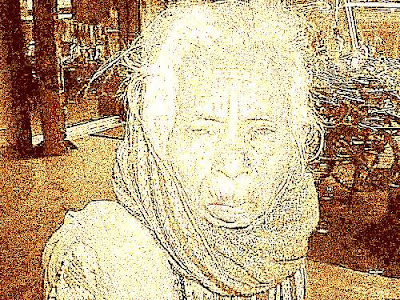 An old woman named Rambai, living in the streets of khammam, AP, India was found having nearly Rs.80,000 cash in a cloth bag. Interesting thing is, she had nearly 10,000 to 15,000 coins in that bag !! When she was begging in the streets, a theif snatched her money bag and ran away. She started shouting and police chased the thief. Fed up theif, threw the bag and ran away. After recovering the bag, police counted the money and found Rs.80,000 cash, for their surprise ! Police had a hard time in counting that money with so much of coins. It is said that she has collected this money by begging for years. The language barrier is an obstacle for police men to find her origin now. Police men have created a Bank Account in her name and have deposited the money. That old woman look like she would die in few years. But why she is collecting so much of money at this age, I don't know ! More sad thing is, she is still begging despite of owning so much of money. If she continue begging, there is no difference in she having money or the theif taking it away !